Authorities in China are planning to evacuate more than 9,000 residents in the southwest of the country because of the construction of what will be the world's largest radio telescope, the Xinhua news agency reports. Construction on the 500-meter Aperture Spherical Telescope (FAST) started in March 2011. 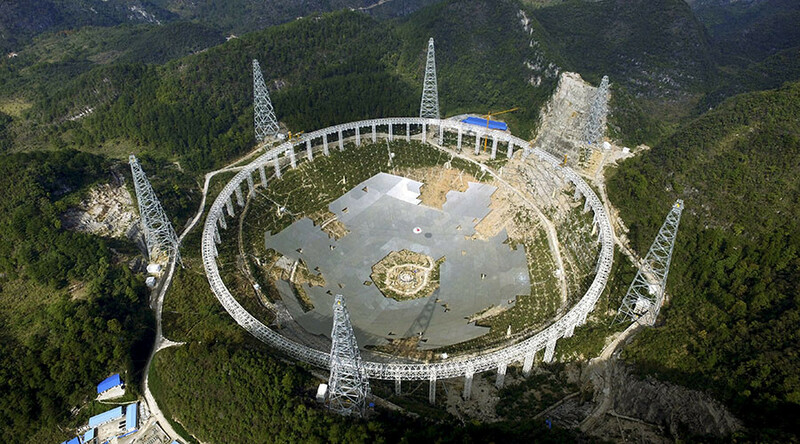 FAST, which is being built in Guizhou Province, is expected to become the biggest telescope on Earth. It will boast a dish the size of 30 football pitches and surpass even Puerto Rico’s Arecibo Observatory with its 305-meter aperture. 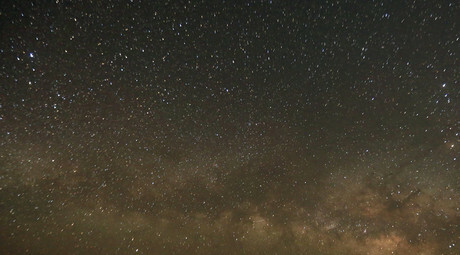 FAST’s high sensitivity will provide Chinese scientists with accurate first-hand space data, enabling them to look for extraterrestrial life even outside our galaxy. Relocation of residents will be completed before FAST's scheduled completion in September, local authorities announced on Tuesday. Last year, the Provincial Committee proposed to the Chinese government to resettle all residents in a 5km area around the telescope. This is “to create a sound electromagnetic wave environment,” something nearby settlements can't interfere with, Xinhua reports citing provincial officials. The relocation includes 9,110 citizens in Pingtang County and Luodian County, who will be moved to four settlements currently under construction. The residents will be given 12,000 yuan (over $1,800) compensation, and any ethnic minority households facing housing difficulties will receive a further 10,000 yuan (over $1,500).